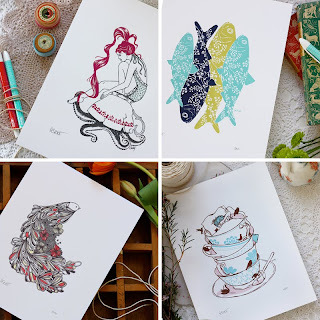 Bespoke Press (about whom I gushed previously) have a new project and a "giveaway to end all giveaways" over on their blog. They teamed up with 10 emerging illustrators to produce limited edition, three-colour letterpress prints. They have a giveaway of all ten prints at their blog and are having a sale in their store, too (details here).